There is no magic pill to being successful, you must be willing to do whatever it takes? The question is, are far are you willing to go to achieve your goals and aspirations? In this episode, Nadia shares her challenges with her e-commerce skincare company and it’s only when she did a parallel between her past and her possible future, she suddenly figured out what she needs to do in order to be successful with her business. This episode is worth tuning in if you’ve been wondering where to look for inspiration in order to achieve your aspirations. 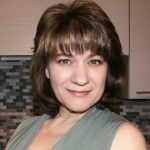 Nadia Fleury is a French-Canadian entrepreneur, life strategist, and chemist who founded Avesence, a skincare line promoting healthy, radiant-looking skin using potent skincare formulations. Looking beyond marketing hype and understanding that beauty is more about how you feel inside, Nadia delved into alchemy, mixing science, with self-awareness, and spiritual awakening, eliciting inner-transformation and bringing forth your true beauty from within. Is Your Horse Upside Down? Are you committed to an Epic New Year? Are you leading with a heart? Is your self-worth prevent you from making money? 034 – How far are you willing to go? 032 – You will see it when you believe it. 026 – Are you the leader of your life? 009 – Are You Committed To Your Happiness? 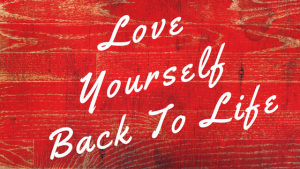 001 – Why Love Yourself Back To Life?